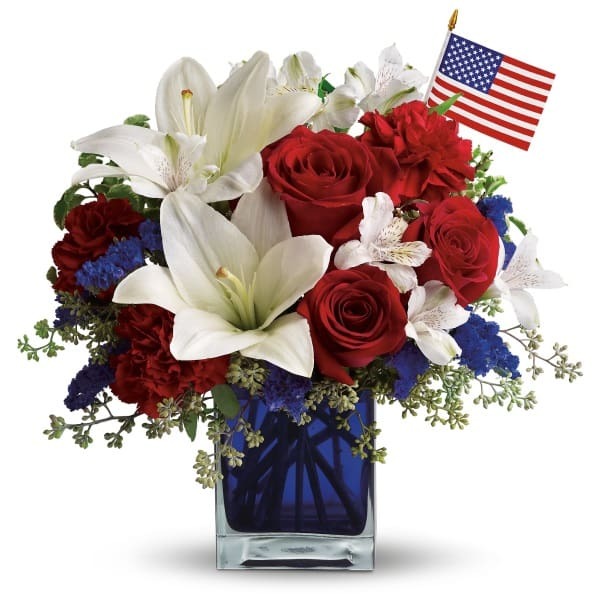 This patriotic arrangement is such a stunning way to honor the courage, the character, the people and the places in this country we call home. • Appropriate be delivered to a funeral service or family residence. 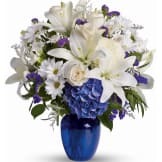 • This arrangement measures approximately 14 1/2" W X 14" H.
Flowers will be received by a Osborn Funeral Home's staff. 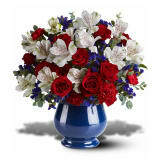 The arrangement was delivered on time as promised. Good size and very full. The style was a perfect choice for our Grandpa, who served his country. The individiual was thrilled and the iten was sent on time. The person/family I sent this to said the vase arrangement was beautiful. I chose this arrangement for its patriotic display. And the fact the deceased is an American veteran. I was not even sure about sending anything at all since it had been so long since I had even seen Louis, until I saw the flowers and the title. I really sent them just for Louis even though he could not see them of course. I don't know how his family felt about them, but I do know he would have liked them. He loved this country very much, and would have known what I meant by sending them. He was only two years and three months older than myself, yet I did admire him as much as any man I ever knew. He was always very good to me, and I will continue to remember him for the rest of my life. He was always a very bright light in all of our lives when he was around. Very beautiful. It was my first order from The Sympathy Store & will definitely do all my orders in the future here. Excellent service----very pleased! 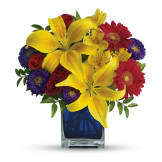 All of our flowers are designed and delivered by hand from a local florist in in Dix.